The colors and textures of your home's paint play a huge role in your home's appearance and its atmosphere. The professional painters at Artisan Painting and Decorating, Inc. are completely committed to helping our customers create the perfect mood and atmosphere in every room in their homes with high quality painting and finishing services that are integral to their personal tastes and their homes' design and architecture. Our professionals are extensively trained and experienced, and we'll always guarantee your complete satisfaction with all of the work that we provide. 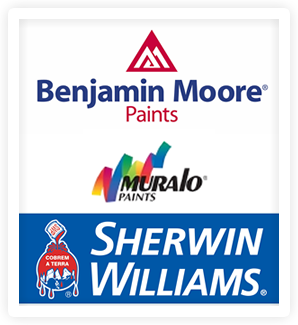 Our professional Norwell painting contractors work with each of our clients directly to design their painting projects and ensure that all of their goals for the project are reached. We'll help you transform your home into a more comfortable, relaxing, and attractive place. Whether you're painting the interior or exterior of your Norwell home, the job is very important, and you need to know that it's being done well. 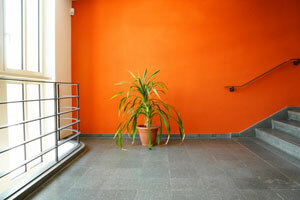 A great paint job make your home much more attractive and comfortable, and it could even raise your home's resale value. When you hire our experienced painting contractors, you'll know that you're receiving a great looking paint job that will last for years to come. Exterior paint needs to be well bonded and well applied so that it doesn't crack, fade, or peel while it's under the constant pressure of weather and the elements during the changing seasons. Our residential painters in Norwell use high quality paints and sealants to guarantee a durable and long-lasting exterior paint job, and we can also pressure wash your walls before we begin painting if it's necessary. When we paint the interior of your home, we'll help you choose colors, textures, and finishes that are integral and complementary to the rest of your home's interior design. We'll also guarantee quality craftsmanship and an excellent finished product. Our painters can provide professional-grade decorative finishes in Norwell that will add a distinctive and beautiful appearance to any room in your home. Our painters use the most innovative and up-to-date techniques to apply finishes that will enhance your home's appearance and improve its atmosphere. We'll work with you directly to decide on the perfect finishes and textures for your Norwell home, and we'll apply them with the highest quality materials possible. Your textures can be contemporary and modern, or they can have a classic appearance. They'll be totally customized to your tastes and your home. We'll do whatever it takes to guarantee your complete satisfaction with the entire project. If you're looking for a painting contractor in Norwell, call Artisan Painting and Decorating, Inc. at (617) 947-0524 or (617) 548-3649 or complete our online request form.